Flood Predictions and Warning Systems (Tech Article) - Emergency Alert and Notification for Emergency Alerts and Community Warnings. Weather forecasters may soon be able to predict deadly flash floods several days in advance using a new technique developed by Penn State researchers and the National Weather Service. If successful, this approach can be extended to other types of extreme weather such as severe thunderstorms, record heat and cold, and winter storms, according to Paul Knight, Penn State meteorologist and State Climatologist. In fact, any of the recurring severe weather events recorded in Storm Data could be similarly evaluated. "We can't stop the flooding," he says, "but we may, with this technique, be able to foresee it even further in advance." Knight, Richard H. Grumm and David J. Ondrejik of the NWS, and Penn State undergraduate Justin M. Brolley presented their work recently at the annual meeting of the American Meteorological Society, in Long Beach, Calf. Knight and his colleagues determined the location, date and time of historic flash floods from Storm Data, a chronological listing by state of extreme weather events, maintained by the National Climatic Data Center. Then, from a massive 50-year government database of ground observations and measurements collected by weather balloons, they obtained the temperature, pressure, humidity, and winds at different heights in the atmosphere. Knight says, "We can determine from this data, knowing when floods have occurred (in the past), how far from normal the conditions are on those dates when floods happen." Measurements above or below normal thresholds were culled and then ranked to establish the five most anomalous. 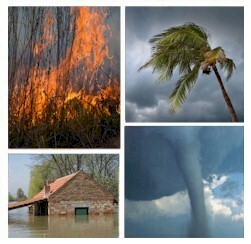 These five were then paired in all possible combinations to see which occurred most frequently during floods. Using the right pair during the right season, Knight states that they can "account for a great number of the cases." "This is the interesting interface between dynamical modeling of the atmosphere and statistical modeling," he explains further. "We're trying to employ statistics to improve short-term dynamical forecasts." Dynamic models use mathematical equations to calculate the future state of the atmosphere while statistical models base their predictions on what has occurred in the past. Knight expects that by summer a forecaster will be able scan through numerical forecast models for these parameters and decide if a threat exists as many as three days in advance. This early warning would provide crucial time for emergency management agencies to implement contingency plans, potentially saving lives and property. Currently, the scope of the project is limited to the Middle Atlantic forecast region - an area encompassing New York, Pennsylvania, Virginia, Maryland and the District of Columbia - but Knight has plans to expand the forecast domain beyond this. Even further down the road neural networks may be able to provide a more sophisticated analysis by using computers to emulate the human brain. 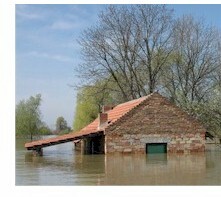 These systems can be trained to identify patterns such as the characteristic anomalies that occur during flash floods. The Cooperative Program for Operational Meteorology, Education and Training, or COMET, in Boulder, Co. provided funding for the project. Should a flash flood threaten your community, our phone services could help warn your neighborhoods of this disaster. With our emergency notification phone service, you can broadcast warning messages to thousands of households in your community warning of catastrophic disasters including flash floods. Messages can be simultaneously delivered in just minutes using our network of phone systems and services. Pre-recorded warning messages can be played giving households information regarding the flood location and whether a community evacuation is planned or necessary. You can send a broadcast warning to specific neighborhoods or communities in the event of a flash flood and provide priority delivery of these messages to those nearest the flood danger. Multiple messages can be delivered to different members of the community based upon proximity to the flood. Calls can be directed to operators that are standing by to handle special individual emergencies. Messages can also be broadcast seeking volunteers or special assistance from emergency personnel.